John F. Kennedy’s presidential library has released the final 45 hours of his private recordings, representing the last months of JFK’s life. The recordings include discussions on the growing conflict in Vietnam and plans for the 1964 election. JFK recorded many of his White House meetings secretly, keeping their existence away from top aides. The library has declassified and released portions of the tapes since 1993. Among the conversations recorded is JFK discussing his ill-fated trip to Dallas, Texas in November 1963, and what would become the day of his funeral. “It’s a hell of a day, Mr. President,” a staffer replies. “Although on the one hand releasing the final recordings is a bittersweet milestone, on the other, we hope that the public will appreciate having the opportunity to hear these important discussions first hand,” Maura Porter, the library’s archivist, said in a statement. Maura Porter told the Associated Press news agency that Kennedy may have been saving the tapes for a potential memoir. 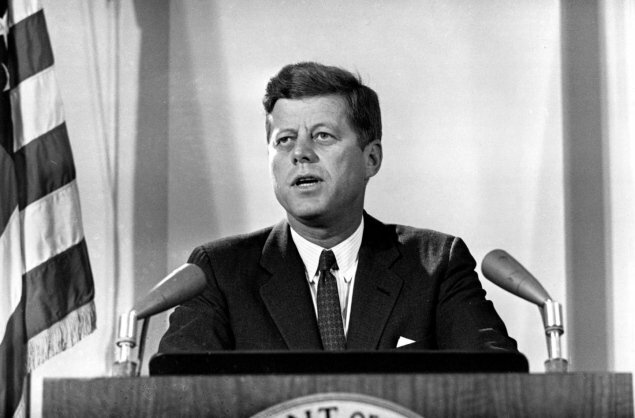 Another possible reason for making the tapes was JFK’s concern that US military leaders had given a different public account of a discussion over the botched Bay of Pigs invasion. In a meeting between John F. Kennedy and advisers about developments in South Vietnam, the president seems both frustrated and amused that his military and diplomatic advisors have given him contradictory reports on the state of the country. General Victor Krulak reported “the Viet Cong war will be won” with the US military and social programmes in place in the country at that time. Meanwhile, state department advisor Joseph Mendenhall told the president that many in the South Vietnamese government considered the war against the Viet Cong “secondary” to concerns about the regime in Saigon, and that student groups were considering moving to Viet Cong’s side. “You both went to the same country?” JFK asks. By November 1963 Kennedy’s mind was already focusing on the 1964 presidential election that he would not live to campaign in. As the incumbent, he worried about how to bring young voters to the Democratic Party. There is also discussion about the impact of filming the Democratic convention in colour, even when most TV viewers would still see it in black and white. John F. Kennedy made over 260 hours of recordings of both meetings and telephone conversations during almost three years in office. Of the final hours of recordings released on Tuesday, Maura Porter said officials excised about five to 10 minutes of family-related discussions and about 30 minutes because of national security concerns.